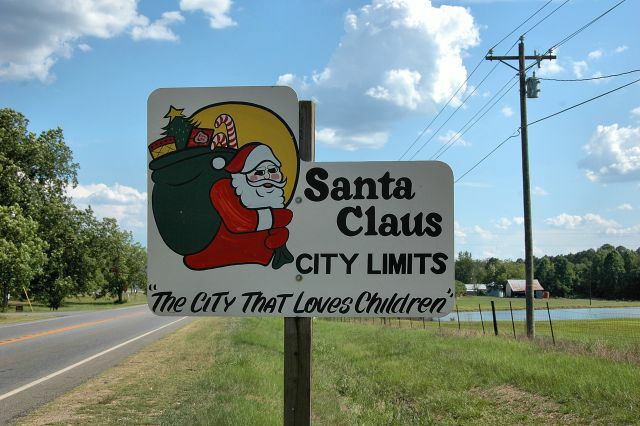 Originally spelled Santa Clause, this hamlet outside Lyons was the brainchild of a farmer and businessman by the name of Greene. His classic Art Deco “Futuristic Motor Hotel” was called simply Farmer Greene. 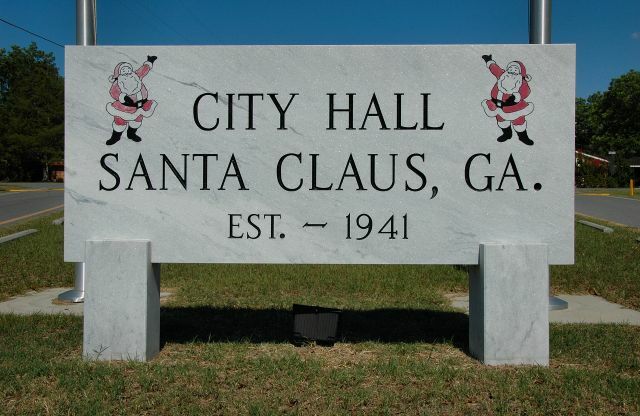 In 1941, to attract the steady stream of tourists who passed through on U. S. Highway 1, he named the area around his motel and pecan orchards Santa Clause. Streets have names like Rudolph Way and Candy Cane Street. 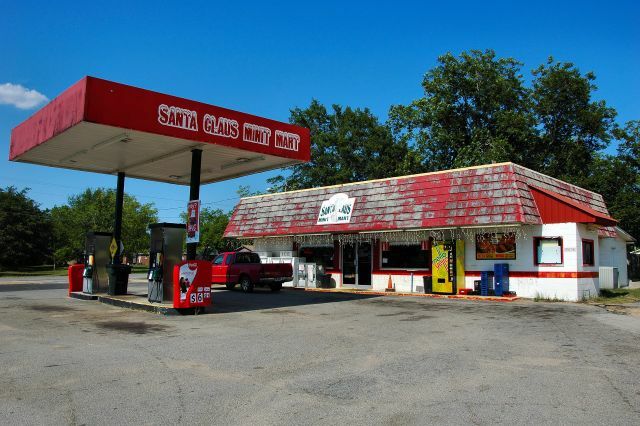 Santa Claus was incorporated in 1941 by C. G. Green, a pecan farmer and motel operator who felt the kitschy name would attract tourists. That effort was largely unsuccessful but the town remains. For many years, Green and his wife were the only residents, but there was a small growth spurt in the 1950s. 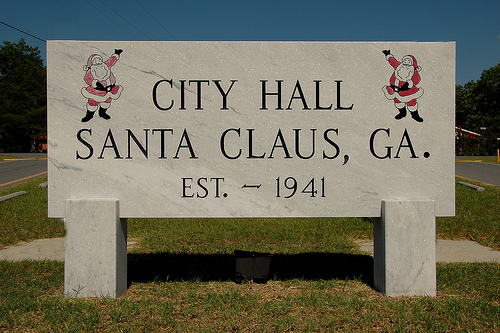 A developer gave the streets Christmas-themed names like Rudolph Way, December Drive, Candy Cane Road, and Dasher Street, among others. Strangely, there’s no official festival celebrating Christmas in Santa Claus today, but the post office stays busy in December with people having their cards and other mail canceled with the Santa Claus postmark.